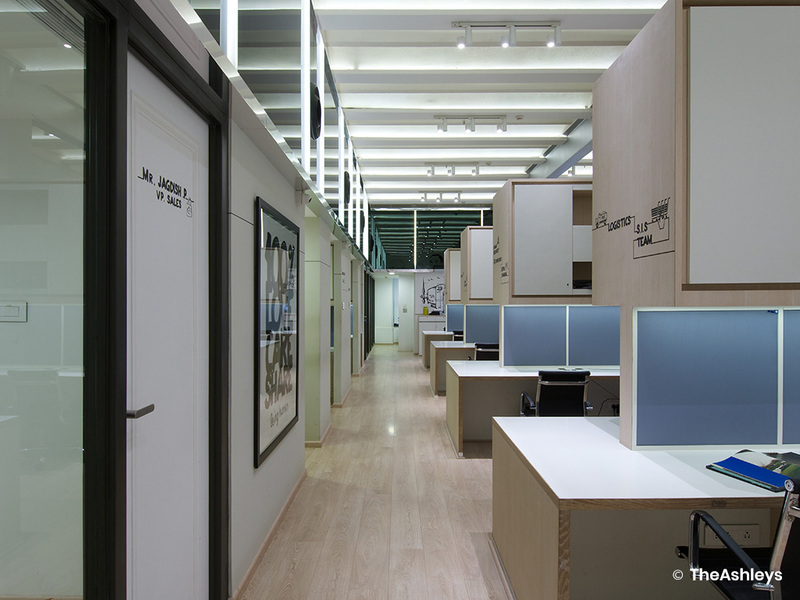 The incredible success of this young fashion house is reflected in the stylised office design. 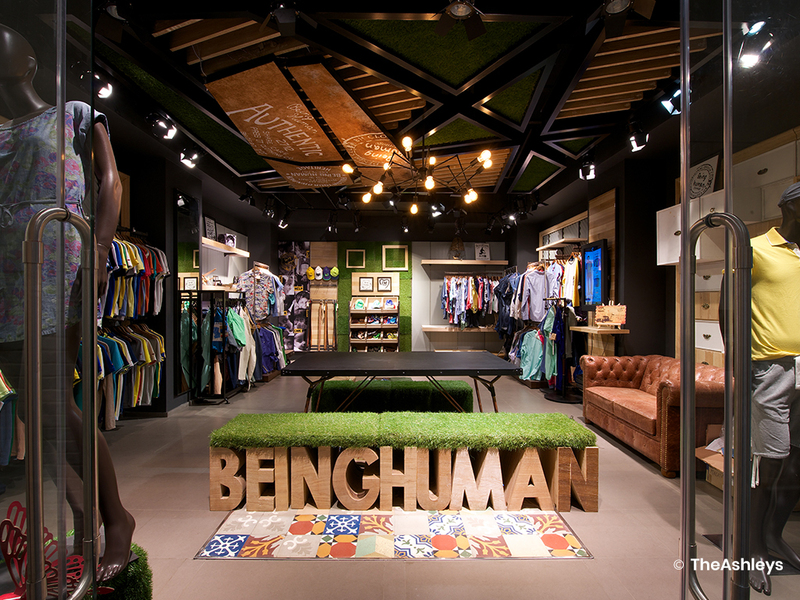 From the point of view of commercial office designers in Mumbai, we enjoy working with this youthful, prestigious brand. 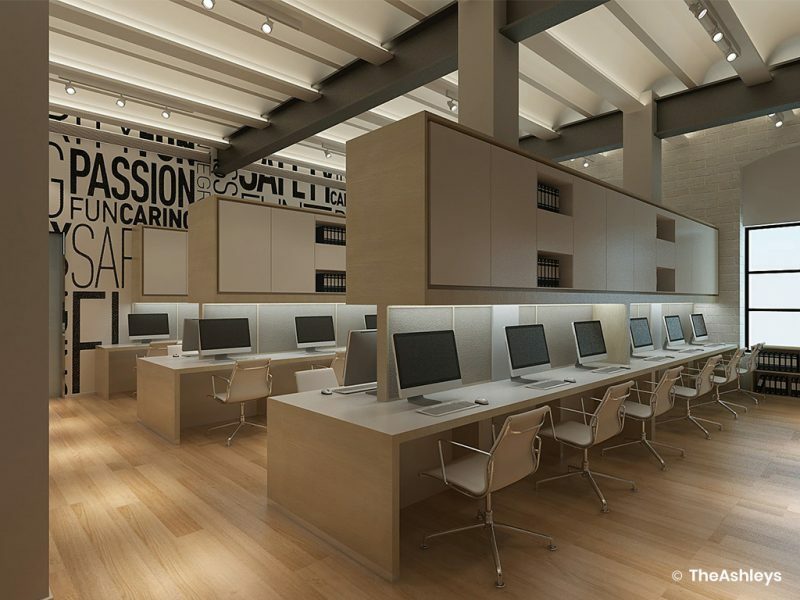 The work space is designed to retain the impressive height of the original space. The arched vaults in the ceiling were exposed, and whitewashed brick-clad walls extended to draw the eye up. The reception area has a quirky, irreverent design, with a layered reception table and focus wall. 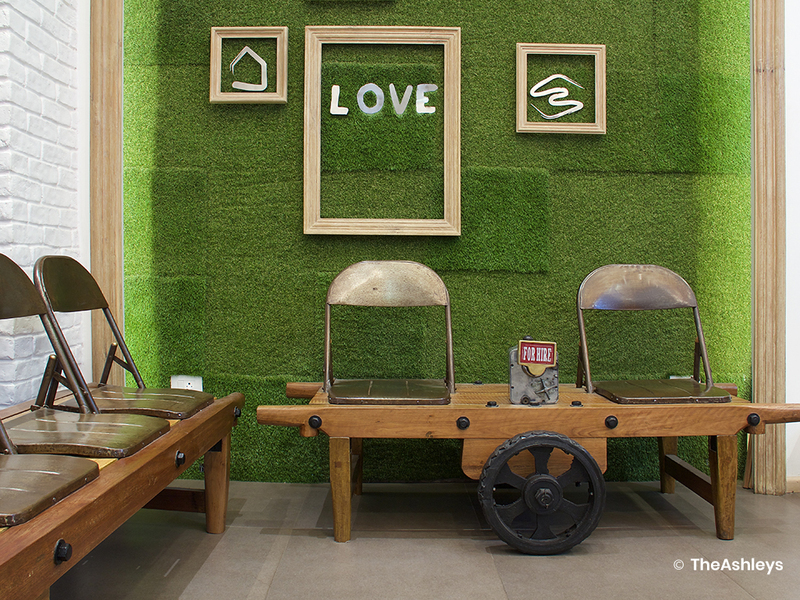 In the waiting area, a hand cart with antique-finish metal seats is a fun twist on a usually uninteresting space. 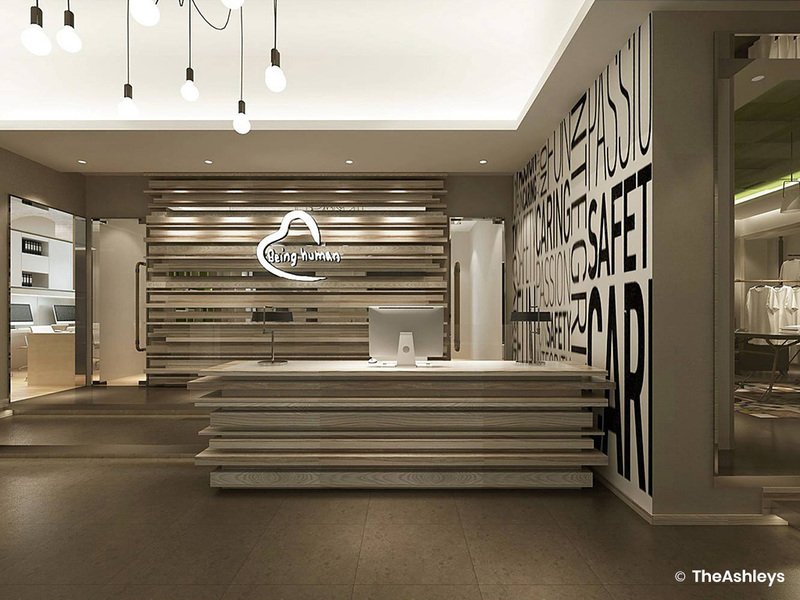 A wall with bold lettering and contemporary lighting fixtures tie the look together and lend a modern look. 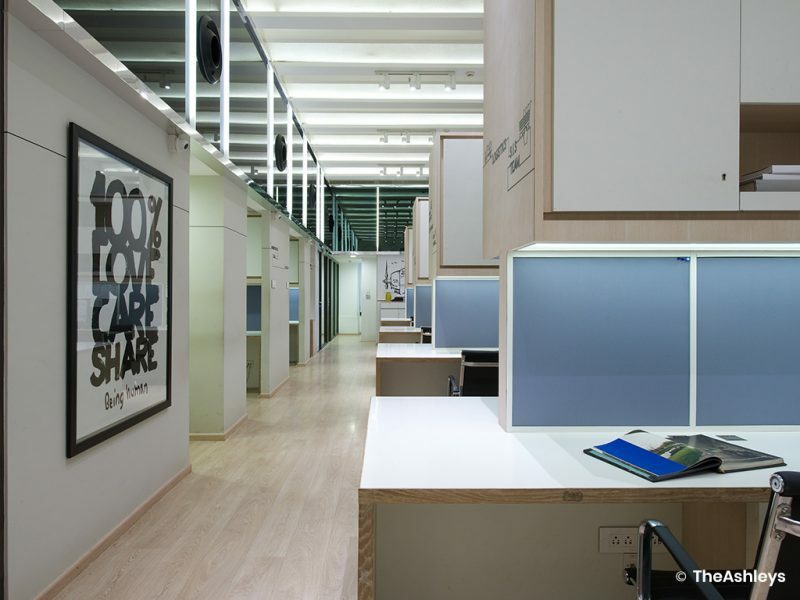 Inside the office, the focus is on ergonomic workstations and clean design. 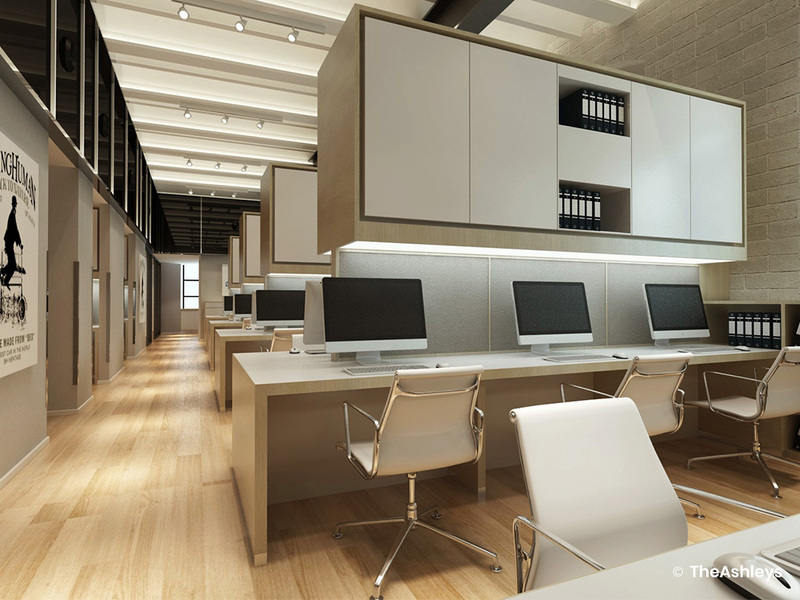 The seating areas have floating overhead storage so that the desks remain uncluttered. Pale wooden flooring and svelte seats add a Scandinavian charm to this area. 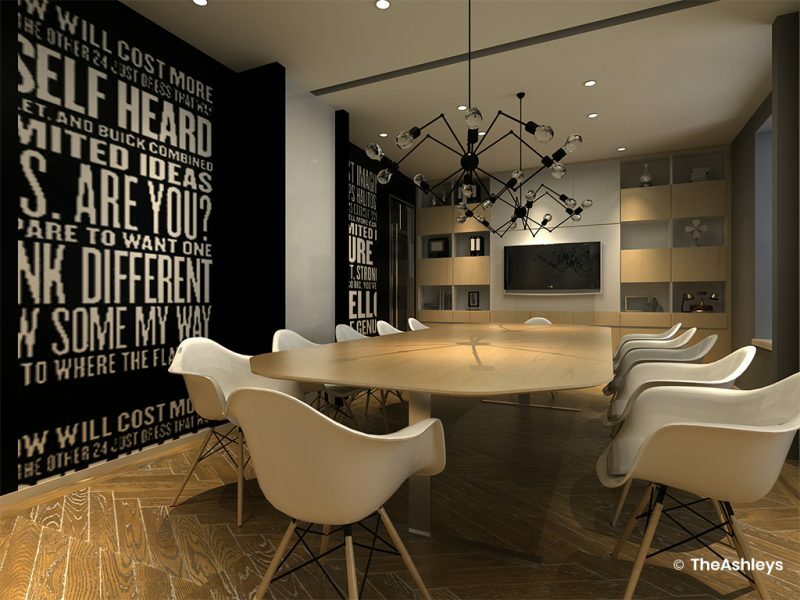 Black mirror panels above the mild steel partitions add to the visual space.